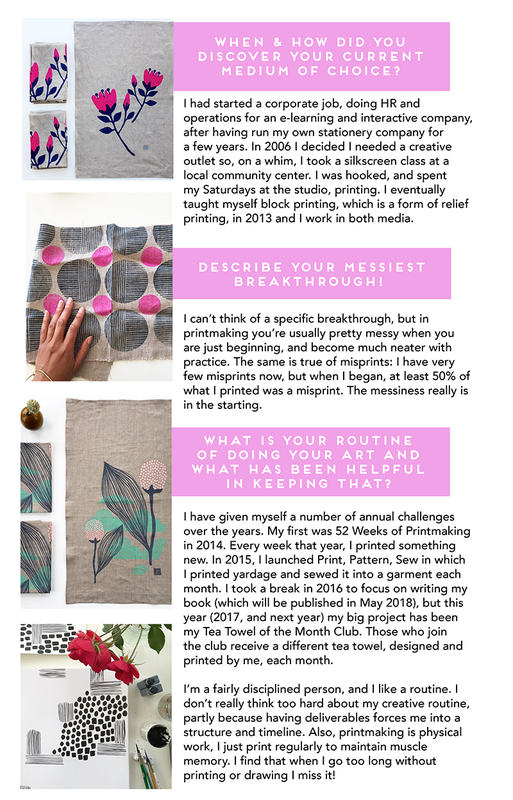 We are a BIG fan of print making and are so excited to see so much interest in it this year from our makers in the LA area! One of our favorite printmakers + surface designers, Jen Hewett is our featured artist this week! She's accomplished so many inspiring projects and we always love to have her in the studio! light of the California landscapes to create highly-tactile, visually-layered, printed textiles. Francisco’s less-hilly streets, or hiding out at her neighborhood wine bar. We are so inspired by Jen and love it when we see an artist bloom from taking a class (like many of our guests here at MM!) Thanks so much for being our spotlight for this week!